In 1980, President Jimmy Carter appointed Judge Clemon as Alabama’s first black federal judge. He served in that position for nearly thirty years, including seven years as Chief Judge of the Court. Among his cases was Lilly Ledbetter v. Goodyear Tire and Rubber Company, 550 U.S. 618, 127 S.Ct. 2162 (2007), which was overturned by Congress two years later in the Lilly Ledbetter Fair Pay Act. He also served on the Executive Committee of the Eleventh Circuit Judicial Council. Judge Clemon was born and reared in Jefferson County, Alabama. As a student leader at Miles College, he worked with Dr. Martin Luther King while participating in the 1962-63 Birmingham boycott and demonstrations. He graduated as valedictorian of the Miles College Class of 1965. Judge U.W. Clemon is a 1968 graduate of Columbia Law School. In the dozen years preceding his appointment to the federal bench, the law firm of Adams Baker & Clemon handled most of the civil rights litigation in North Alabama. Their cases included the lawsuit against Paul “Bear” Bryant to desegregate the football team of the University of Alabama; as well as employment litigation against the largest employers in Alabama. Judge Clemon was elected in 1974 as one of the first two black senators to serve in the Alabama legislature since Reconstruction. He served as Chair of the Rules Committee during his first term. In his second term, he served as Chair of the Judiciary Committee. He often clashed with Governor George Wallace on various racial issues. Torbert et al v. Monsanto, Case No. 1:01-cv-1407-UWC (N.D. Ala.) (handling of 18,000 individual cases and $600,000 million settlement; supervision of Claims Administrator, prescription drugs, and medical clinic). 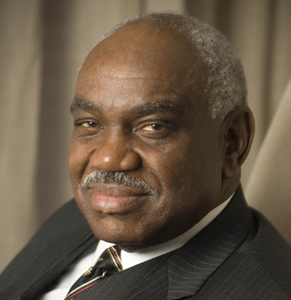 Judge Clemon is a fellow of the College of Labor and Employment Lawyers. The Alabama Bar Association in 2006 gave to Judge Clemon its highest judicial award, the Judicial Award of Merit. He received the highest award of the National Bar Association in 2008. The American Bar Association gave to him its “John H. Pickering Award” at its national convention in 2013. Columbia Law School bestowed on him its “Paul Robeson Award” in 2015. Honorary doctorate degrees were given to Judge Clemon by Miles College, Birmingham Southern College, and Alabama A&M University. Two streets in Birmingham are named in his honor. Judge Clemon was one of the plaintiffs in the litigation to restore cost of living increases to the salaries of federal judges. Beer v. United States, 111 F.Cl.592 (2013).